Top Hearing Aid Brands In Pennsylvania | You Save Today! For most people with hearing loss, hearing aids restore the sense of hearing through advanced electronic, digital technology. Hearing aids are designed to assist people with hearing loss by amplifying sounds and improving sound signals that are sent to the brain. Like natural, binaural hearing, the hearing aid is designed in the image of the auditory process. Despite the differences in style and features, all hearing aids consist of the same elements: microphone (picks up sound), receiver (sends amplified sounds to the ear), volume control, battery door, and program switch. Across different countries and manufacturers, hearing aids are currently at the height of performance, design, and technology. Unlike hearing aids of the past century, contemporary hearing aids are much more streamlined and discreet in design, with incredible features that increase accessibility for wearers. We offer hearing aids from most manufacturers including, Unitron, Starkey, Siemens, Oticon, ReSound, Sonic Innovations, Rexton and Widex. Unitron tests hearing instruments on real hearing patients, using feedback from audiologists to shape their products. Unitron’s latest innovation is the Tempus Processing Platform, a new sound navigation program that focuses on specific environments. With a focus on speech recognition, Tempus offers four settings for conversations alone. Starkey Hearing Technologies is the only American manufacturer in the game right now. Founded in 1967 in Eden Prairie, Minnesota, Starkey was the first manufacturer to introduce an in-the-canal hearing aid as well as the first custom, digital invisible hearing aid. Starkey received a Silver Edison Award in 2015 for the Starkey Halo “Made for iPhone” hearing aid. 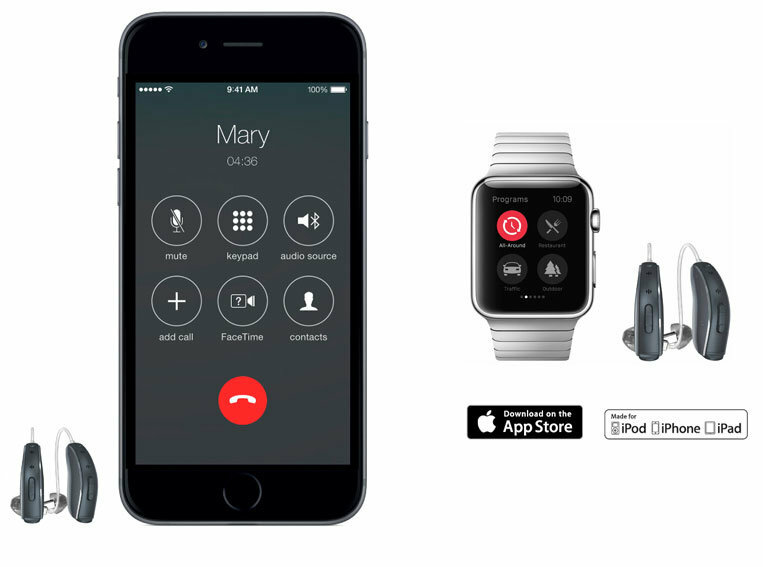 The Halo hearing aid connects wirelessly to wearers’ iPhones, increasing control, function, and accessibility. Danish manufacturer GN ReSound has been producing high quality hearing aids since 1943. Resound was the first to produce hearing aids with an open-standard digital chip, as well as Wide Dynamic Range compression sound processing and Digital Feedback Suppression. These give wearers a listening experience with natural, clear sound. 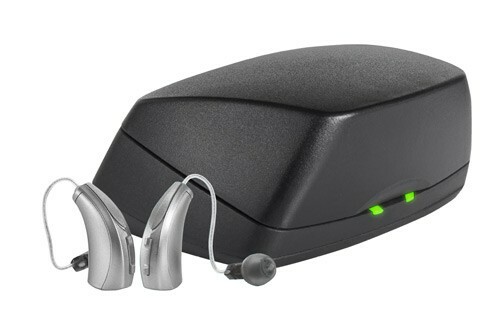 The LiNX 3D is ReSound’s Made for iPhone hearing aid, which allows wearers to connect wirelessly to their smartphones. This allows wearers to stream phone calls, music, and media directly from their phones to their hearing aids. With the mission of “People first,” Oticon has developed new technology that assists the brain in the hearing process. BrainHearing Technology was introduced with four main features that assist the brain with hearing: Spatial sound, Free Focus, Speech Guard E, and YouMatic. The first two features support the brain’s ability to recognize sounds in a wider scope and to situate the wearer within their environments, while the latter two allow for speech recognition and personalization. Founded in Berlin in 1947, Siemens is a leading manufacturer of hearing aids. Siemens has a long history of innovation, with the first behind-the-ear hearing aid in 1959 and first in-the-ear hearing aid in 1966. With their latest offering, the primax series, Siemens has proven that hearing aids are capable of outperforming normal hearing. 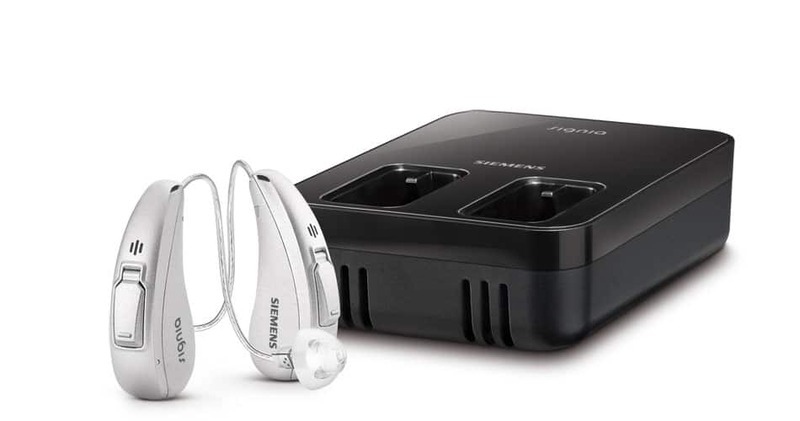 Siemens primax series hearing aids are equipped with e2e wireless technology, which simulates binaural hearing through an eight microphone network. Widex is a family owned company founded in Denmark in 1956. Today, it is one of the world’s largest manufacturers of hearing aids. Their approach to innovation has led to such advances as the world’s first fully digital in-the-ear hearing aid, as well as their own revolutionary wireless technology. Widex believes that hearing aids are more than the technology inside them. Widex focuses just as much on design of hearing aids as on technology to create a near-natural hearing experience.